While I hate hypothetical questions such as, "If you could only do one exercise, what would you choose?" I would have to answer this silly question with, "deadlift". For years now the deadlift has been a staple in my own program as well as in those of my clients and athletes. The deadlift is truly a big-bang-for-your-buck exercise that offers numerous benefits. If you are not deadlifting, here is what you are missing out on. Warning: deadlifts are not appropriate for certain health conditions and injuries. Also, if done incorrectly, you can get hurt. Therefore as great as these benefits are, it is better not to do them than to do them improperly. In daily life everyone picks stuff up off the ground. With the deadlift you can learn proper lifting mechanics (something few people use when lifting an object from the floor) and get strong so your ready for whatever life throws at you. 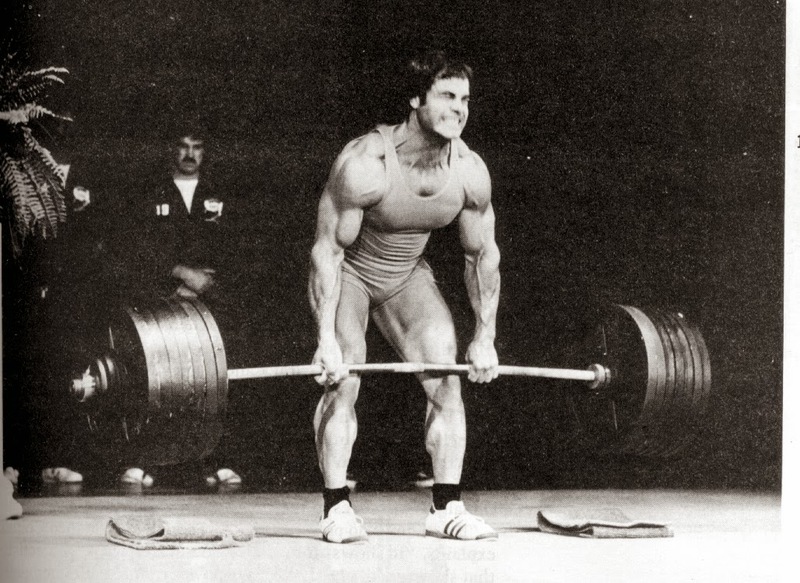 In his book "Power to the People", Pavel Tsatsouline mentioned that the rack pull (a version of the deadlift where you pull the bar from a rack instead of the the floor) was sometimes referred to as the "health lift". Athletic performance really boils down to how much force you can put into the ground. As a result, exercises such as deadlifts (along with squats and other explosive lifting variations) are fantastic for helping you run faster and jump higher. Too many people mistakenly spend the majority of their time training the muscles they can see in the mirror. While you want to keep a balance of strength throughout your body, the muscles you cannot see in the mirror (e.g. glutes and hamstrings) have the biggest impact on your performance. As a strength coach, I appreciate deadlift numbers. It is an honest lift that has far less controversy than its cousin exercise the squat. A squat number means nothing to me unless I know a lot of additional information: Was it actually to true parallel? Was the lifter wearing gear? Knee wraps? Did he/she have to walk the weight out? Strength Coach Mike Boyle has wisely recommended to coaches that when an athlete brags about his/her squat numbers, divide that number in half. An honest squat is very humbling to most athletes. In the deadlift, the bar starts on the ground (which takes out the depth issues) and you stand up with it. Unless the athlete failed to mention that the deadlift was really a 2 inch rack pull, you have an honest measure of strength. If an athlete can put up a big deadlift with good form, I know he or she is strong in the right places for athletic performance. Many people mistakenly try to build big muscle with small exercises. While the smaller isolation exercises play a roll in the muscle building process (more at the advanced bodybuilder level), they need to be used as additional accessories on a solid foundation of big lifts. Deadlifts will back slabs of muscle on your upper back, glutes and hamstrings while increasing testosterone and getting your stronger all-over. Too many would-be bodybuilders miss the getting stronger part. For example, consider 8-time Mr. Olympia winner Ronnie Coleman. Prior to his bodybuilding career, Ronnie did powerlifting. As a result, he had a tremendous base of strength which allowed him to use jaw-dropping weights in his bodybuilding sessions and develop one of the best bodies the sport has ever seen. Here is a video of Ronnie deadlifting 800lbs for 2 reps. Also, I encourage you to watch some of Ronnie Coleman's other YouTube videos to see what I mean about being strong and how it helps with building muscle. Deadlifts help get you stronger all over. The stronger you are, the more weight you can use on your lifts and the more effective reasons 1-4 become. 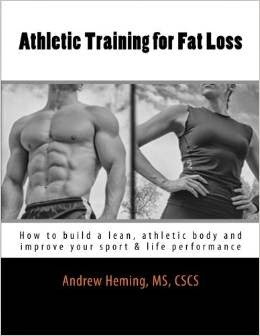 Remember strength can be a limiter to all goals, including fat loss. 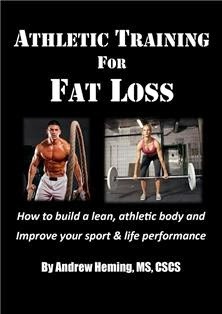 Note: to learn more about how to use deadlifts in fat loss training programs, check out my new ebook: Athletic Training for Fat Loss. Ah, man's favorite hormone! If there is one thing that the steroid era has taught us it is that hormones are important. For those of us who choose not to inject testosterone into our bodies, naturally boosting it through proper nutrition and exercise is important for health, performance and body composition. Multiple, low-rep sets of heavy deadlifts (and squats) are fantastic for naturally increasing testosterone production (no it is not as good as steroids). It should be noted here that while research supports this increase in testosterone, it is temporary. Also research does not seem to support that this temporary increase in testosterone is what causes the muscle gain. However, with training it is important to recognize that there is still a lot to learn about how the body works. We know deadlifts work, even if there is still more to learn about the how. When it comes to exercise selection, many people mistakenly just look at what muscles are being used. They may look at the deadlift and think, "Oh, that works the hamstrings. I'll just use Swiss ball leg curls instead because they also use the hamstrings. However not only does the deadlift use way more muscles than the hamstrings, it also places a bigger survival threat on the body and results in a greater adaptation response. One time as I finished a heavy set of deadlifts, a guy came up to me and asked, "what does that work?" Out of breath I simply responded, "everything." This big, total body movement will work your glutes, hamstrings, low back, abs, upper back, lats and grip. Imagine how long it would take if you tried to exercise each of these muscles separately. And, even if you did, you would still not get the same benefit (as I mentioned in the previous point). FMS co-creator and renown physical therapist Grey Cook uses deadlifts as part of his corrective exercise protocol with his patients and athletes. For example, if someone had limited hip range of motion Cook will perform the required corrective mobility and stability work to re-gain proper movement. Then, he will use the deadlift to let the body train the new-found functional movement and to help cement the corrective changes. Increased relative strength: the stronger you are in relation to your body weight, the easier and safer it is to move your body around. Deadlifts get you strong. Structural balance: many team sports end up using more quads than hamstrings. Deadlifts can help balance the body out by emphasizing the hamstring more. Also, single leg deadlifts are great to help develop left-to-right leg structural balance. Always remember that front-to-back or left-to-right imbalances are a recipe for injury. Functional movement: dysfunctional movement is another recipe for injury. Deadlifts teach your body the important skill of picking something up off the floor. In daily life, this is something that we all do anyways so we might as well do it properly and get strong. Another key aspect to functional movement is moving in the right parts of the body while stabilizing in other parts. The deadlift teaches you to bend at the hip while stabilizing at the spine (which greatly reduces your risk of low back problems). Another fantastic benefit to the deadlift is that you can do it many different ways. This allows you to shift the emphasis to different muscles depending on your goals (e.g. conventional for hamstrings, sumo for groin, trap bar for quads). It also allows you to customize the lift depending on your individual structure. For example, if you have short arms for your body, you can pull from blocks or a rack. My training philosophy is select the best exercises to get a client or athlete to his/her goals. After what you have just read, you can see why deadlifts are so often one of them. Many people mistakenly think that cooler and seemingly more "cutting edge" is actually better. As a result, basic barbell training is often replaced with with the silliness that you will seem in many gyms. However a study of Iron Game history reveals bigger, stronger men than you will typically see in gyms today who trained with very simple exercises and programming. Always let your goal, not the latest fitness fad dictate what you do with your training. One of the biggest problems with deadlifts is that they are brutally hard work. It is human nature to try to find an easier way out. As a result, we will always gravitate towards an easier and less effective exercises - unless we know better. As great as deadlifts are, you can easily hurt yourself if you do them correctly. Stay tuned as next time I'll show you how to deadlift without wrecking your back. Thanks for reading Clara, you kind word and for taking the time to comment. All the best to you!